With over 20 years tennis coaching experience, I currently hold the LTA Level 4 Coaching Qualification. I have worked in premier racket centres around Warwickshire, including Tudor Grange and Billesley Indoor Tennis Centres. I have coached all aspects of tennis with players of various ages and abilities. I have previously worked with Birmingham & Solihull Area Tennis Squads and currently with the Warwickshire Junior County Training Programme. In 2000, I was appointed as Head Development Coach at Solihull Arden Tennis Club and, alongside Gary Naughton, established a Development and Performance Programme.. This Programme became extremely successful with many juniors developing from Mini Tennis level through to County, Regional and National level. It was recognised by the LTA as one of the best junior coaching programmes in the country. I also developed strong links with schools within the community. 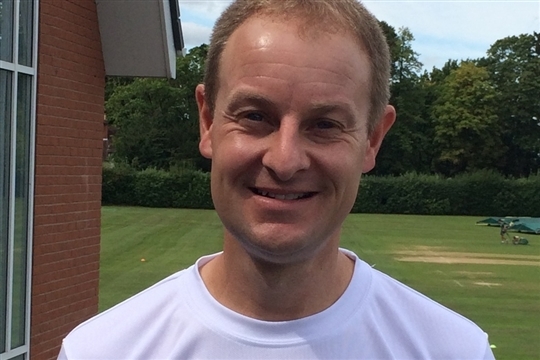 I am currently Head Coach with a team of LTA Licensed tennis coaches forming the ASN Coaching team at West Warwickshire Sports Club in Olton, Solihull. We offer all aspects of tennis coaching from Tots to adults with Mini Tennis, Cardio Tennis, Tennis Xpress and Tennis Tuesdays all part of the Programme. The team has been established at West Warwicks for 4 years now, and continue to attract many juniors and adults of all abilities to play tennis, and more importantly, enjoy it!